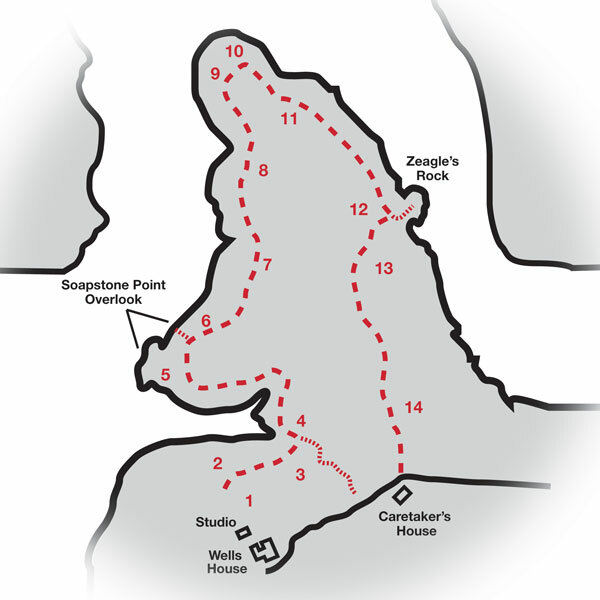 The map represents a one-mile self-guided trail. Terrain varies and the last half of the walk is mostly uphill. We hope that you enjoy this "virtual tour" and will choose to visit Rockcliff Farm soon. You may download and print a copy of the Self-Guided Tour map here.